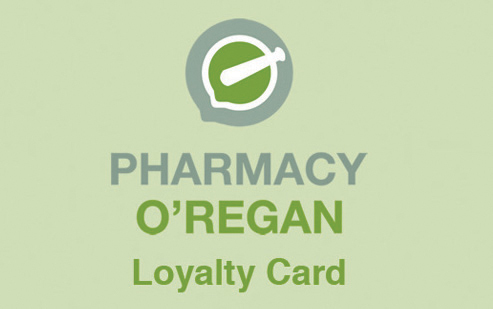 Sign up for your Pharmacy O’Regan loyalty card and receive loyalty points on your purchases and access to promotional offers… Save as you spend. You earn 1 point for every euro spent in store (exclusions apply). 500 points will earn you €5. 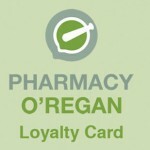 Keep an eye out for triple points and in store or Facebook offers to maximize your points.